Kik is a widely used instant messaging app which is known all over the world. This app helps the users to send and receive not only the messages but also stickers, videos, photos, sketches etc. due to which the number of the users have been increased over the period. Normally, users delete Kik messages that they don't want but sometimes some important messages also gets deleted, this is when they want to recover Kik messages but don't know how to do that. Don't you worry? In this article, we will be showing you few methods on how to recover Kik messages on iPhone. Recovering your Kik messages from iPhone is really easy and you don't even need to worry if you have backed up the messages or not. All Thanks to Tenorshare UltData, the most reliable iPhone Data Recovery tool that you can use. It helps to directly recover all the data of your iOS device with the function "Recover Data from iOS Devices" that lets you select the messages that you want. Note: Make sure to download and install UltData on your computer. 1 First connect your iPhone to computer using USB cable and launch UltData on your computer. 2 Soon your device will be detected by the software but if it doesn't detect, simply unlock your iPhone and click on the "Trust" option which you can see on the screen. 3 You will see four option on the top of the interface, click on "Recover from iOS Device". 4 Now select "Kik & Attachment" option from the list and click on Start Scan. 5 All the messages and attachment of Kik messenger will be displayed on the screen. (You can select the needed messages & attachment and even see the preview before recovering it). 6 Click on Recover option that you can see on the bottom of the screen. 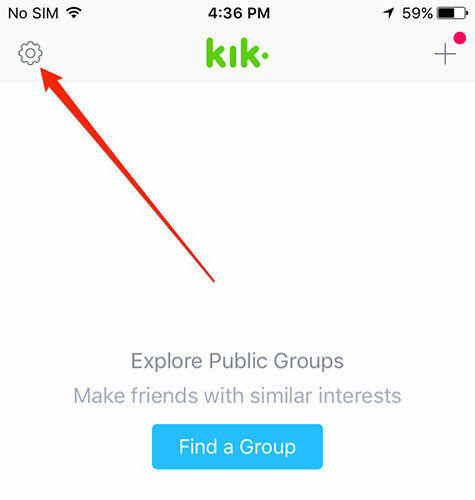 7 You can choose to recover the Kik messages & attachment to your computer or to your iPhone. Most of the time users keep their data backup either on their iCloud or iTunes. This backup can save their life in case they have deleted the data which they could not find anymore. 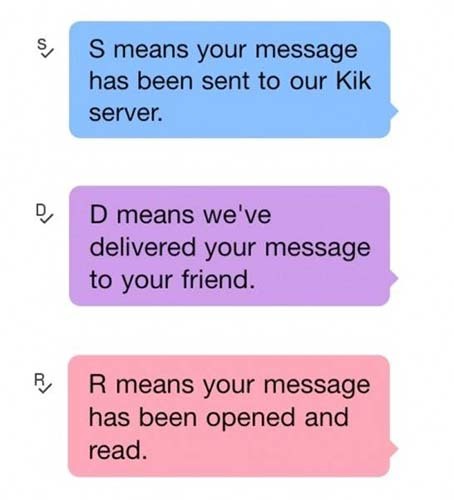 Here, it has been show how to retrieve deleted Kik messages using different methods. The first and easy method to retrieve your deleted Kik messages is by visiting iCloud website and following the certain process. This way is really easy and all you need is a working computer with internet access. The detail steps are given below on how to recover deleted Kik messages from iCloud website. 1. Open your computer and go to www.iCloud.com form any browser. 2. Then you need to enter your Apple ID and Password that you have used in your iPhone iCloud. 3. You will see all the list of data in category format. Simply search and locate your message that you want to recover. The next method to recover your deleted Kik messages is via UltData tool. This is an amazing tool that lets you to restore all your content if you have backed up on your iCloud. You can easily preview the content first and then restore which ever you want. 1 First open UltData application on your PC/Mac. Select "Recover from iCloud Backup File" which you can see on the top of the app interface. 2 Next enter the same Apple ID and Password that you have used in your associated iPhone. 3 There will be list of all the backup data that is linked with your Apple ID. Select the backup from the list that you want to restore. Also click on "Next" button. 4 Now select the file type Kik & Messsages to download. Then click on "Next" button to continue the further process. 5 You can click on the preview and select the item that you want to restore. Now click on Recover button and your data will be recovered. Recovering deleted Kik messages using iTunes is another easy and convenient way to get back all your deleted messages. Whatever iTunes backup you have done on your computer, it will be displayed on the screen and you can easily choose from there. Below, two methods have been discussed. Go through it and see which one is the best. If you are still using the default application provided by Apple Company which is iTunes then also you can restore backed up Kik messages. This app doesn't provide many features as compared to other app though you can use some features without any problem. Make sure to download and install iTunes on your computer before going to the process. 1. First open iTunes on your computer and connect your iPhone to iTunes using USB cable. Soon iTunes will detect your iPhone. 2. Next click on Device button >> click on Summary. 3. Then select "This computer" >> click on "Restore Backup" option. Using UltData to recover the deleted Kik messages using iTunes backup files works like a charm. All you need to do is download and install Tenorshare UltData app on your computer and follow the given process accordingly. You will be able to recover all your deleted Kik messages with an ease. 1 Open UltData software on your PC/Mac and then select "Recover from iTunes Backup File" option among the 4 option that is located on the top of the screen. 2 All the iTunes backup will be displayed on the computer screen. Choose the correct backup file and click on "Start Scan" button. 3 Once the scanning is completed, you can see all the deleted as well as existing item on the screen. Choose "Show Only Deleted" option to see only the deleted items. 4 You can select different output format from the list and even set the export location. Click on "Save" button. 5 Finally select the Kik Messages option that is on the left side column and then click on Recover button. You will be asked whether you want to recover to device or to computer. Choose as per you choice. So, these are few of the ways on how to recover Kik messages on iPhone. Hopefully, you have learned plenty of methods to get your work done. The best way to recover the deleted Kik messages is using Tenorshare UltData, which also can recover deleted contacts, WhatsApp messages, photos from your iPhone XR. Let us know which method you liked the most and which is really easy as well convenient to you.